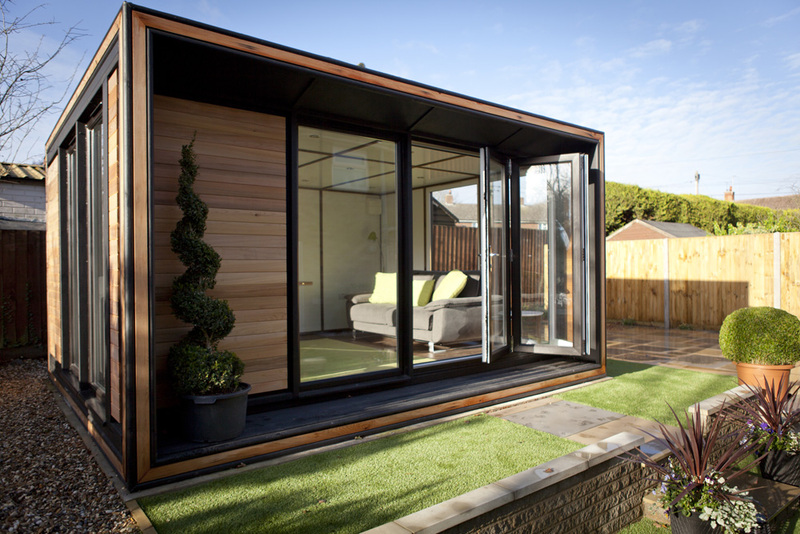 Reserve your chosen garden room now. 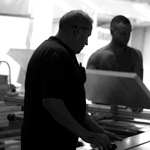 Each hand-crafted building will be personalised to your requirements and the final price is subject to your site survey and chosen specification. 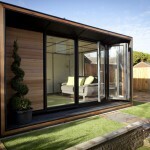 A dynamic home office or studio space, the Quinto Key Studio provides a vast 6.4m x 3.2m interior. 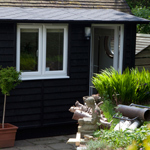 This large and capacious building minimises its impact on your garden through architectural features, including unlimited windows and natural, rich and warm Thermowood cladding, whilst remaining steadfastly solid and heavy in construction. 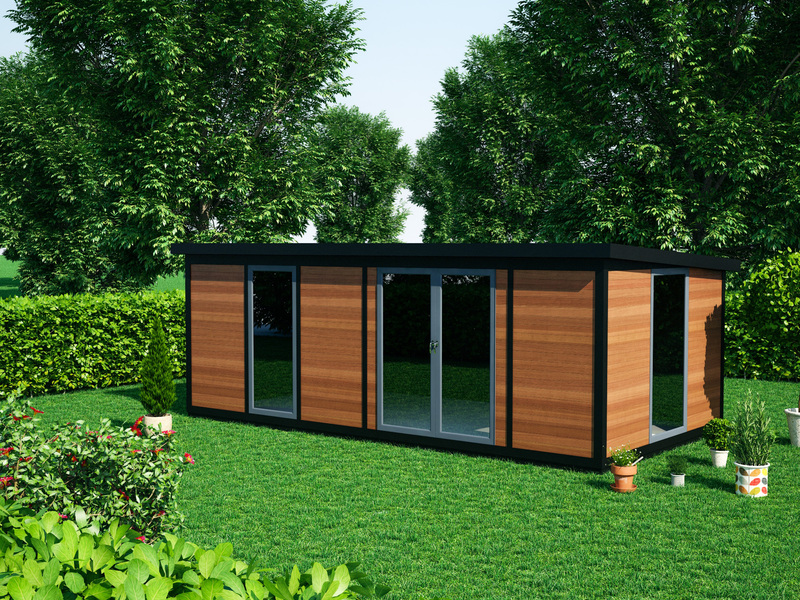 Consequently, this substantial building will complement your garden whilst offering exceptional interior space and comfort. 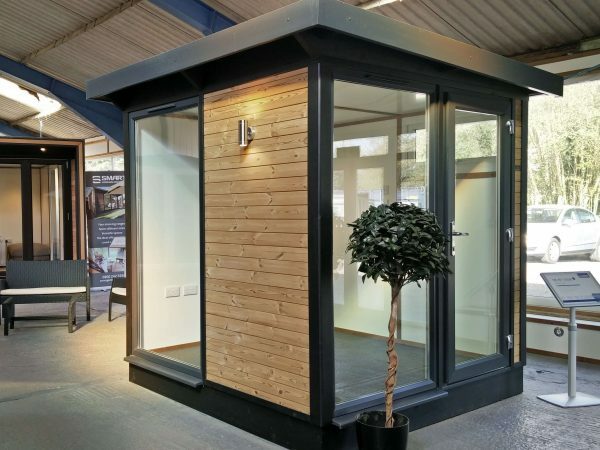 With an enormous interior of 6.4m x 3.2m this space is our largest and most versatile. Built with Smart’s TuSC construction this impressive structure will remain undeniably strong for many years to come too. The Quinto Key Studio has enormous potential for a multitude of uses: From a company office in the garden to a group leisure space or additional classroom and teaching spaces for schools – the possibilities are endless. 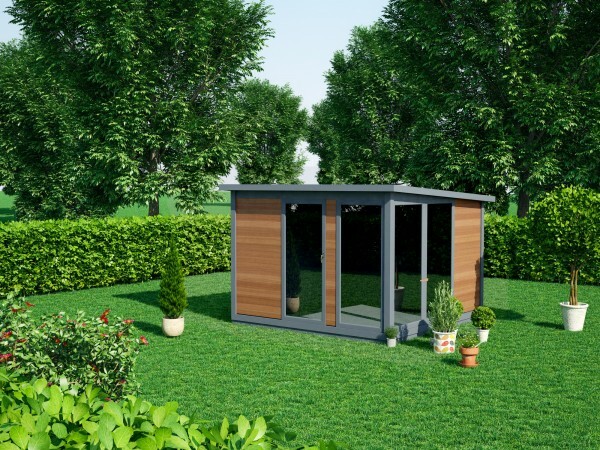 Smart will take care of the whole process of installing your garden office, from order to installation. If you should require planning permission we can manage the application process too. Uncompromising charismatic design available with ultimate styling features for those who admire the Key Studio’s sleek design. Traditional and affordable, the Classic is a simple but charming alternative to the Key Studio. 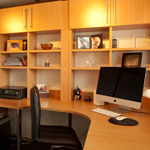 An elegant and deceptively large space ideal as a one person office. 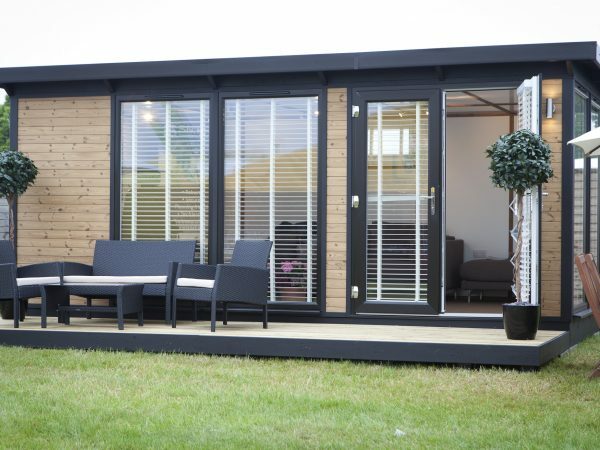 For longer and narrower gardens, the Extro will provide a spacious interior without compromising on style. An enigmatic style with interchangeable design features that can be truly personalised to you. 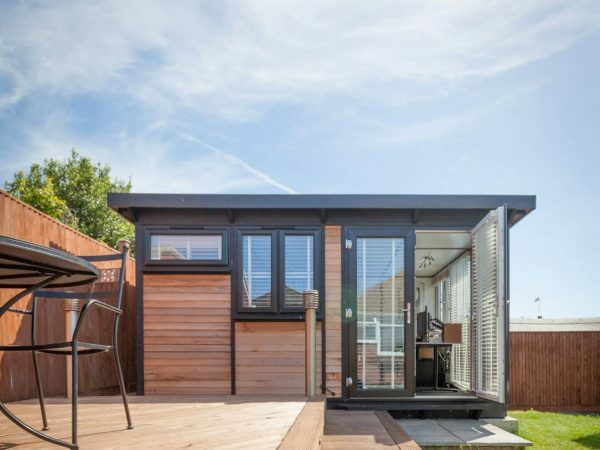 A truly impressive and spacious garden studio, founded on architectural design and engineering principles. 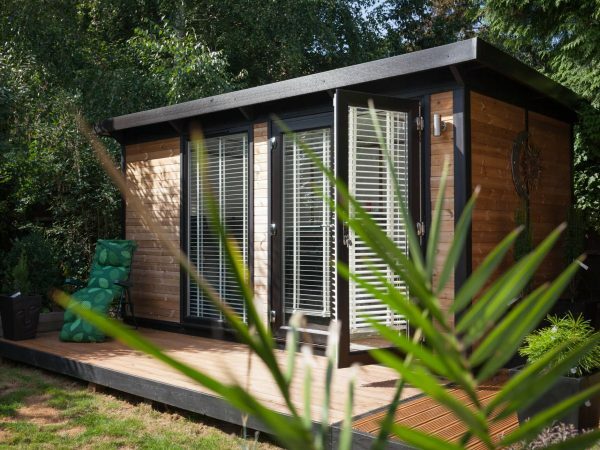 A perfectly proportioned and spacious 3.2m x 3.2m office, the Duo is a stylish two person office. 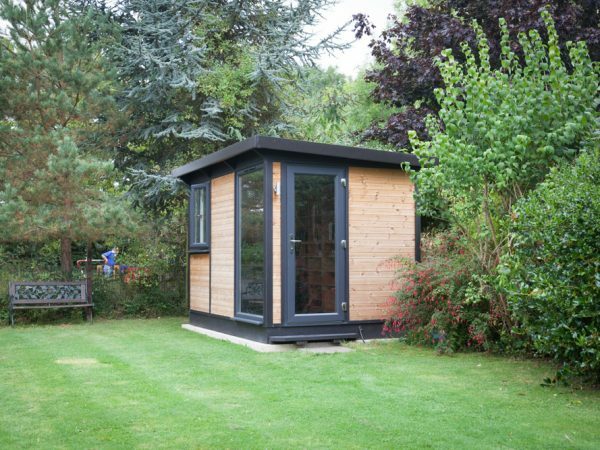 3.2m x 2.1m internally, the Solo Key Studio is a strong and spacious one person office or garden retreat.